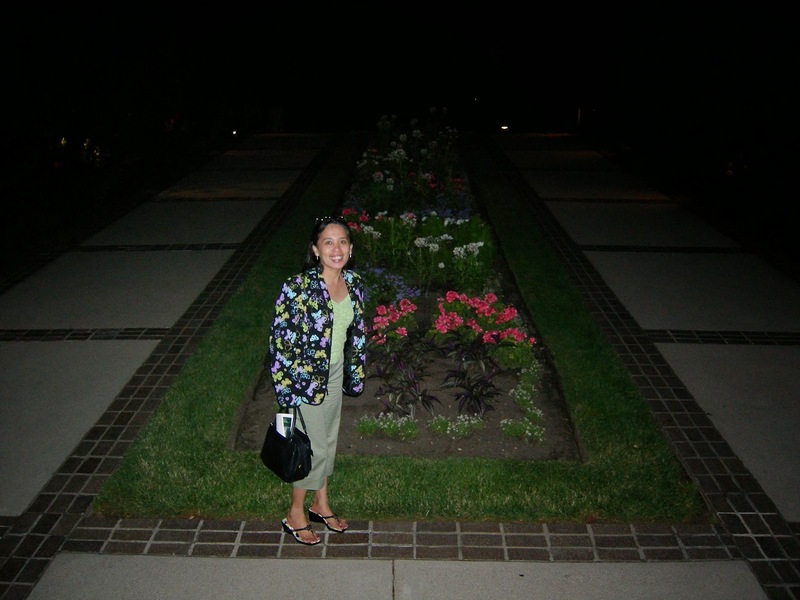 So, seven years ago, I still remember when I was in Illinois, visiting my cousins, and they took me and my husband for a quick visit to Baha'i Temple in Wilmette. It was just a "spur of the moment" decision after an early dinner with my cousins to do our walks since the restaurant was a walking distance to the place. I don't know a lot about this building except that it is considered a house of worship, so I heard. We visited the area around 7PM so we were not able to take a good look of the entire structure of the building outside. 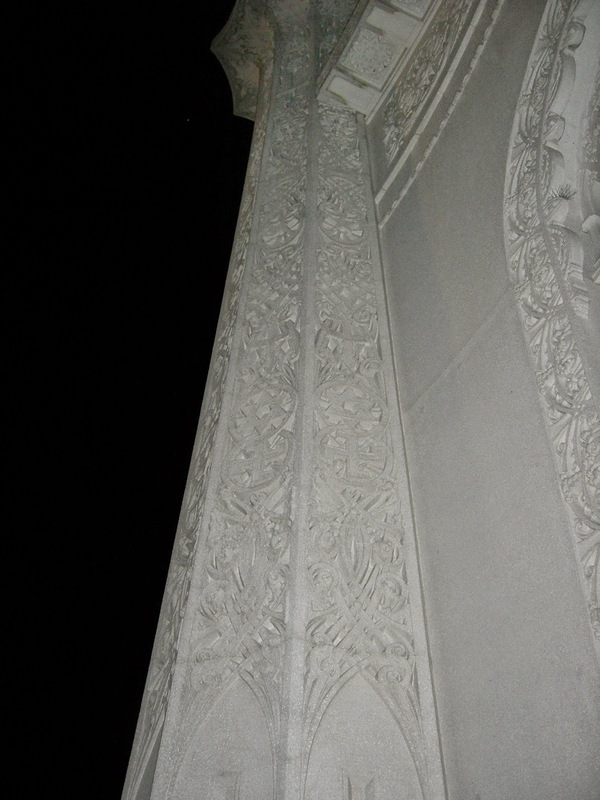 I was able to take a photo of one of its pillars which is full of pretty intricate designs. Infront of the structure is a fountain and a garden.